The best WordPress Theme for Portfolio and Agencies with different demos for this purpose. 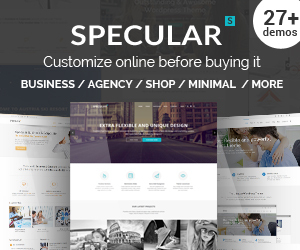 Some Features/Plugins : dual sidebar, parallax and hover effects, animations, text effects, many widgets and shortcodes, icons, drag and drop fronted builder, WPML supported, Setup Wizard innovative installation, high performance, speed optimization, RTL, Woocommerce, SEO, Mailchimp, narrative video tutorials, transition effects, custom ElleThemes slider, 5 star rated theme. Some Features : unique portfolio slider, modern technologies, AJAX loading, good SEO, retina ready, highly responsive, highly customizable, interactive Map, WPML, 7 layered PSD files , XML import file available. Kalium supplies an extremely straightforward yet creative solution for you to get your site working in no time at all. It has a powerful theme options panel that enables you to tailor the theme to match your demands. Its fantastic attributes can be used to boost the sites of agencies and creative professionals. Kalium theme has a Portfolio that could be set to any sort of kind, of a grid or a Masonry. Portfolio options with Kalium are easy to use with custom-made drag and even drop builder as well as a custom job builder. Some Features/Plugins : sophisticated elegant design, RTL, WPML, automatic updates, award wineer and nominee author, 10.000+ happy customers, unique portfolio styles, dribbble portfolio, ajax cart, Woocommerce, stunning hover effects, SEO, high speed, 5 star support, parallax, ajax lazy loading. Animo is a responsive clean as well as marginal wordpress theme for creative portfolio website. It is a very personalized multi purpose theme with many theme choices. This theme includes several portfolio and also blog layouts that you could utilize for showcasing your jobs or material. It’s made to work as a portfolio or blog website, and also it’s completely responsive for viewing on smart phones such as tablets and also phones. Animo it’s a platform for all modern type, fresh, cut designers out there, never failing to look good. Some Features/Plugins : powerful slider revolution, cover templates, parallax, well documentation, many awards winning theme, developer friendly, SEO, youthful, animations, transitions, slideshows. QOON is a premium portfolio and agency wordpress theme focused on minimalism, elegance and simplicity, making possible for you to create a quick and innovative portfolio that perfectly represent your work, with a creative and enjoyable touch. Its durable design and smooth visuals paired with deep portfolio alternatives consisting of grid formats, hover inscriptions, and related project groups, makes it a lovely area to display creative job. If you are to ask an agency for the very same outcomes, it would certainly set you back a great deal of money. It includes a lot of useful features, leading to a versatile site that will have a rich and creative content. The framework takes inspiration for its architecture from various other frameworks, but with the creative drive it can offer a more data-focused experience for modern websites. Some Features/Plugins : picture slider, portfolio web page, limitless color variations, dozens of shortcodes as well as Google Fonts collection integration, unlimited portfolio pages, responsive designs, multiple slideshows, SEO optimization, kind support and a well documentation. An extensively made use of and enjoyed layout by freelancers, students, photographers, musician, professionals and also any kind of artist that want a perfect unique theme. Making use of the images galleries and fullscreen sliders, Adios theme provides your website an added oomph that establishes your internet site apart from those regular portfolio websites on the web. There are 9 various homepage designs to pick from so that you can select precisely how you can offer your works in their best light. Some Features/Plugins : fast loading, SEO, drag and drop theme, custom slider, full screen hero, translation ready, video tutorials, PSD, pricing tables, unique blog and portfolio layouts, section scroll, isotope plugin, 700+ google fonts, portfolio slider, blog slider. Kleanity is one more exceptional theme, which includes an extremely minimal/simplistic style with a concentrate on portfolio internet sites. Made to be legible, the theme has actually been outlined in a series of one-of-a-kind and also creative iterations that will absolutely make a memorable influence with your visitors, which, incorporated with Kleanity’s considerable seo from package, makes it a strong theme to dominate the rankings within weeks of introducing your portfolio. Thanks to the minimalist design, your websites will be completely responsive in the direction of hand-held devices. 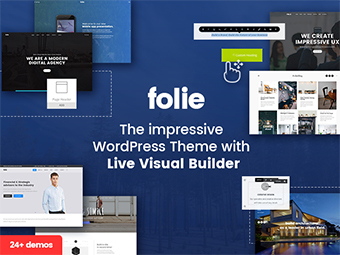 Some Features/Plugins : high quality theme, clean and simple, google fonts, floating navigation, custom skin color, SEO, WPML, live customizer, automatic updates. In order for a WordPress theme to be able to truly aid you develop a completely working on-line directory, it has to offer a great deal of extra features and devices compared to is given by WordPress alone. 2 footer designs are readily available, in addition to an overlay mobile navigating feature and a MailChimp newsletter enrollment type. You have to have the ability to reveal your portfolio, the products/services you supply, and convert clients and leads with a reliable landing web page or call to action. It is developed for specifically little agencies to reveal their company online in much more contemporary way with maximum coverage of customers. The theme utilizes a clean, modern design that is excellent for showing off your portfolio. Some Features/Plugins : interactive portfolio, versatile header, on scroll animated content, SEO, RTL, child theme ready, light and dark theme skins, video tutorials, clean code with comments. With Tower, there is no limit to what can be achieved. Every conceivable tool will be at your disposal, offering to upgrade your page’s capabilities, and improve the aesthetic quality of its design. In the online world, success is often represented by a high view count. That’s why we have created Tower. This demo it’s another demonstration of a simple and minimalistic look that can be created with Tower, perfect for any elegant showcase of your works. There are 4+ portfolio demos available, and some creative agency ones, so you can choose the one that suits you the best. Bedford is the ultimate vintage, minimalistic, incredibly versatile and fully responsive WordPress Theme suited for portfolio sites, shopping internet sites, and also users that desire to showcase their work with a cool portfolio site. It’s usage of customized post types has actually assisted its individuals to maintain their articles very short, straightforward, and also to the point. By featuring a completely responsive interface, this theme has the ability to accommodate laptop computer, desktop PC, tablet as well as smart device customers. It is the perfect background for your most creative tasks, designed to showcase as well as highlight your imagination. Some Features/Plugins : integrated Aqua page builder, cross browser compability, 3 extra post types, localization ready, extensive documentation, XML with demo content included, drag and drop builder. Borano is a creative theme that can be made use of for any kind of sort of internet site, such as imaginative portfolio, photography, products. Developers have made certain that this template is pleasant and also has clean code base. Web designers of any type of skill degree can effortlessly make full use of this effective fullscreen photography layout. Such widgets consist of the effective Full-Screen Slideshow, which allows you to present your finest and also featured products and services or your most preferred content in a fullscreen slideshow right on your homepage. Some Features/Plugins : thumbnail gallery, video horizontal slider, HTML5 and drupal version, light and dark theme skins, video tutorials, keyboard and mousewheel navigation, clean code with comments, google maps, lightbos, landin pages, albums, youtube homepage with controls. Stockholm theme features 20 Web page Templates, 11 Widget Areas, 6 Design template Layouts, 4 Menu Positions and also more. If you intend to see just what Stockholm is about, take a look at one of their 20 spectacular multi concept demos, or the live sneak peek attribute. 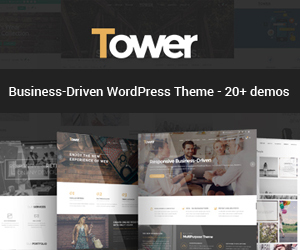 This tidy theme has 7 different page layouts you can select from and also 8 article styles. The site has been developed for travel agency, trip operator, travel blog, but thanks to his innovative graphics, basic, modern, flat as well as vacuum well fit to any type of business. You can utilize it for business, business, product catalog, services or portfolio internet site. They are all very modern & trendy looking styles on this theme. Some Features/Plugins : mix and match features, 5 star support, WPML, woocommerce, layer slider, parallax, ajax page transitions, carousel slider, SEO, child theme, smooth scroll. This theme is perfect to represent your portfolio on the minimalist, yet classic, way possible. The default homepage serves up a fashionable grid of your latest material, with the featured photo of your most recent article acting as the history for it’s title as well as passage, along with the minimal headline at the top. Proton comes with powerful theme options, an aesthetic shortcode manager, as well as article layouts that you could mix as well as match to attain the web site style that you desire. This ingenious theme features limitless creative hover effects, three unique headers, useful post styles and also a receptive mobile menu. Some Features/Plugins : clean code, minimalistic style, creative hover effects, 600+ fonts, SEO, parallax, woocommerce, google maps, creative blog, dark and modern skin, parallax footer. HyperX is a clean and simple theme that will work great for agencies, portfolios, and small companies that wish to capture the essence of their organisation in a solitary page. This is a 5 star rating theme by the customers, with a well documentation and a kind support. It is also bundled with essential grid that shows profiles, blog sites, galleries, WooCommerce and also cost tables in a very customizable grid. This theme is optimal not only for agencies, developers, freelancers as well as professional photographers but for all creatives seeking to display their portfolio online. Your creative agency web site could be accessed from any type of laptop computer, desktop, tablet computer or mobile phone. Thanks to the responsive portfolio grid, website managers could display quality video clips and also pictures. Some Features/Plugins : sort portfolio filters, second featured image, clean code, speed optimization, many shortcodes, audio and video embed, clean design, clean code, WPML, SEO.